This is an index of articles, essays and letters compiled by Michael R. Burch, an editor and publisher of Holocaust poetry, about the ongoing NAKBA ("Catastrophe") of the Palestinian people. The articles, essays and letters below present facts, rather than racist propaganda, and show what people we can trust—great humanitarians like Mahatma Gandhi, Sitting Bull, Martin Luther King Jr., Nelson Mandela, Desmond Tutu, Jimmy Carter, Sigmund Freud, Noam Chomsky and Albert Einstein—have to say on the subject of human rights in general, or specifically about the Nakba. The greatest Jewish intellectuals of modern times, including Einstein, Freud and Chomsky, have sternly and strongly criticized the unjust treatment of Palestinians, pointing out that such injustices will invariably lead to more violence, which is what we are seeing today. No one can expect the victims of ethnic cleansing and apartheid to submit meekly to such horrors. If we want to end the violence, we must first end the injustices which are the root cause. Einstein on Palestine ... Why did Albert Einstein turn down the presidency of Israel, and what did the great Jewish intellectual, peace activist, pacifist and humanitarian have to say about the conflict between Israeli Jews and Palestinian Arabs? Einstein denied any superior rights for Jews, calling for "complete equality" for Palestinians as the "most important aspect" of Jewish policy, saying: "The most important aspect of our policy must be our ever-present, manifest desire to institute complete equality for the Arab citizens living in our midst ... The attitude we adopt toward the Arab minority will provide the real test of our moral standards as a people." Only cooperation with Arabs, led by "educated, spiritually alert" Jewish workers, he wrote, "can create a dignified and safe life." He also said, "What saddens me is less the fact that the Jews are not smart enough to understand this, but rather, that they are not smart enough to want it." Mohandas Gandhi on Palestine ... What did Gandhi say about Palestine and the conflict between Jews and Arabs? What would have had said if he had seen the terrible suffering of the children of Gaza today? Sigmund Freud on Palestine ... Why did Sigmund Freud, one of the greatest Jewish thinkers of all time, reject political Zionism? Jimmy Carter ... "Israeli policy is to confiscate Palestinian territory." Christians may want to consider the ethical questions What does the Bible say? What would Jesus do? Albert Einstein's 1948 Letter to the New York Times ... In this landmark letter, Albert Einstein and 25 other leading Jewish intellectuals, including Hannah Arendt and Sidney Hook, explained to Americans and the larger world that Zionist leaders like Menachem Begin (a future prime minister of Israel) were racists, fascists, terrorists and religious fanatics. Neria Biala is a Jewish Israeli peace activist who looks like a supermodel but is willing to place her body in harm's way, in the cause of equality and justice for Palestinians. Mattityahu "Matti" Peled was called Abu Salaam, the "Father of Peace," by Palestinians who knew him. Peled was an Israeli war hero and Aluf (Major General) who became a strong advocate for a Palestinian state and a stern critic of Israel's brutal occupation of the Palestinian territories, which he called "corrupting" and a violation of the Geneva Conventions. He also called American aid to Israel a "plague" that was "damaging" to Israel and far in excess of Israel's actual defense needs. Miko Peled is the son of Matti Peled (above). He wrote a book, The General's Son: Journey of an Israeli in Palestine, in which he has supported his father’s. Nurit Peled-Elhanan is an Israeli peace activist. She is the daughter of Matti Peled and the sister of Miko Peled. The Shministim are idealistic, principled young Israeli Jews who refuse to serve in a brutal army of occupation when they graduate from high school. Abedalrahman Elderawi lives in Gaza. He is 32 years old and has already lived through three devastating wars. He says, "These experiences have had a dramatic effect on my life's outlook which will be apparent through my poetry. Having graduated in 2005 with a Bachelor's degree in the English Language, a diploma of translation, I have been utilizing my qualifications and skills as a teacher. As an admirer of the depth of poetry, I have recently taken to writing my own, which has been greatly influenced by my own in-depth experiences." As we publish his poetry, Abed is about to open a school for gifted student writers called The Voice of Gaza. Ahmed Miqdad is a Palestinian poet who lives and writes in Gaza City. He writes of his poetry collection Gaza Narrates Poetry: "I wrote my poems through the latest war on Gaza which started in July, 2014 and lasted for fifty-one days. I wrote them under the shelling and attacks of the Israeli planes and tanks, under the hovering of the drones and the sounds of rockets and heavy bombs, between the homeless civilians and between my little children. I wrote these poems, with the lack of power and food, and with fear and stress." The Palestinian Position by Omar Barghouti may be a voice of sanity crying in the wilderness. There are encouraging signs that the global BDS movement against Israeli racism, apartheid and ethnic cleansing is gathering steam. 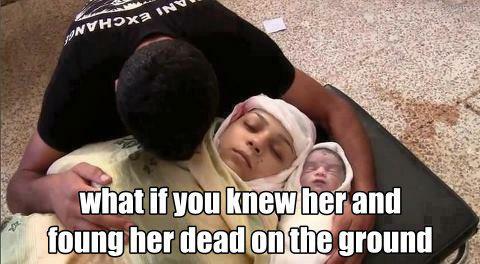 Noam Chomsky: Who is doing the killing in Gaza? Gaza Fuels Anti-Semitism by Gideon Levy, a Jewish writer who has been called "the most hated man in Israel" for telling the truth about Israel's racist abuses of Palestinians. Margaret Atwood opposes Israel's ethnic cleansing of Palestinians, discusses "The Shadow Over Israel." Israel’s Transfer Committee and its goal of ethnic cleansing. Israel's Racist Laws and Policies explains how and why Palestinians are being ethnically cleansed "legally." 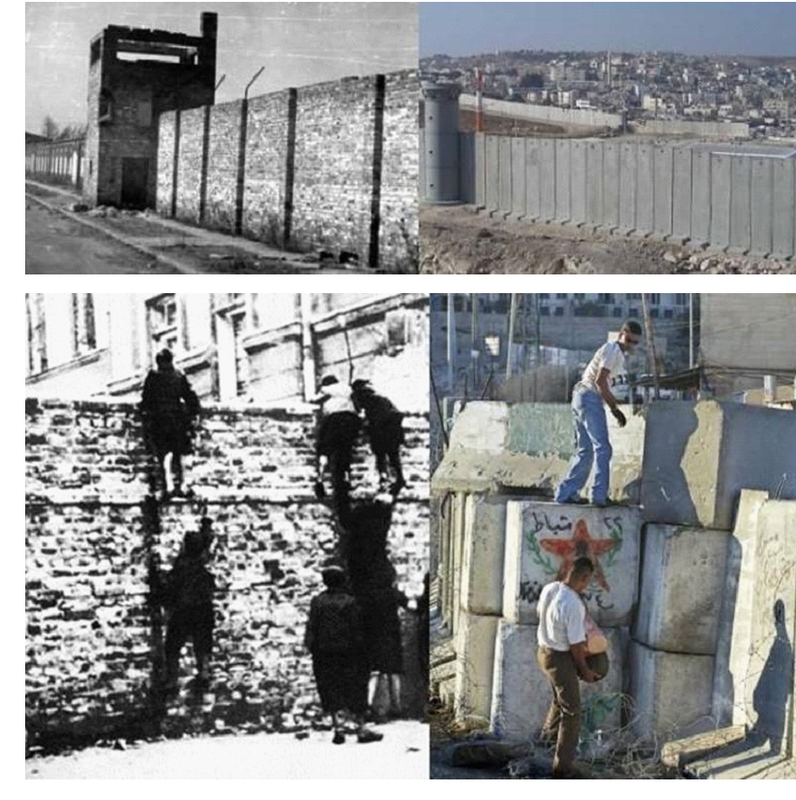 Israel: "Good fences make good neighbors" ... or do they? You may also want to read and consider Israeli Prime Ministers who were Terrorists and Does Israel Really Want Peace? 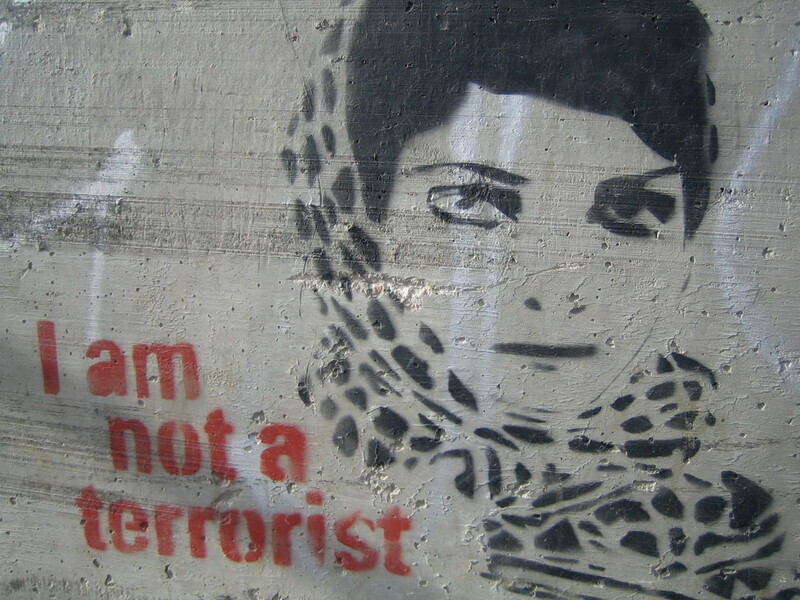 Palestinian women and children are not "terrorists," so why are they being imprisoned and punished collectively, by Israel? Should the lovely Palestinian girl below have to suffer, and perhaps die, so that robber barons can take her family's land and water without paying for it? It was grotesquely wrong when Native American women and children walked the Trail of Tears so that white supremacists could steal their land, water and natural resources. 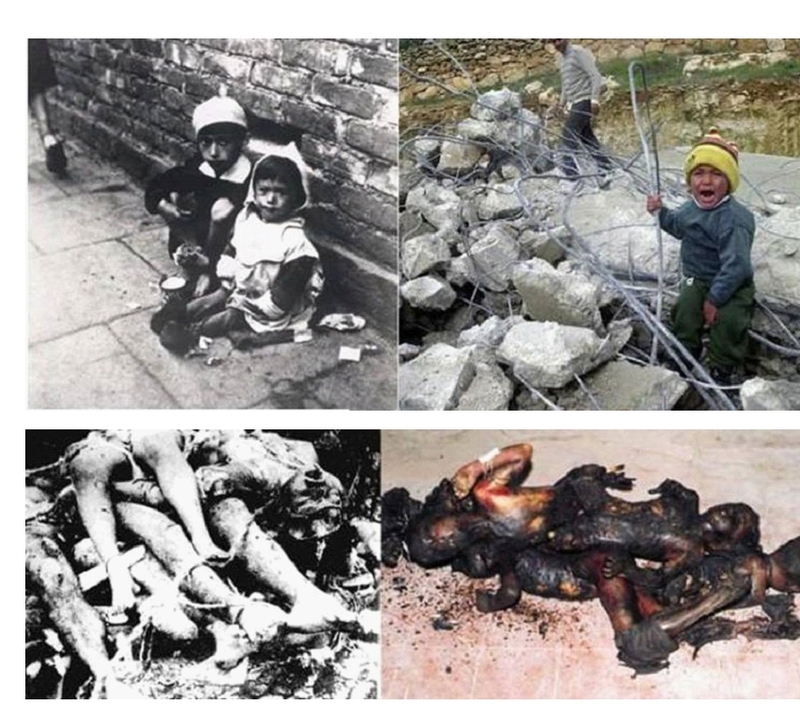 And it is just as grotesquely wrong for completely innocent Palestinian women and children to suffer a similar fate today, for the same reasons. Israel has already taken more than 80% of the land of Palestine without paying for it. Anywhere else in the world that would be called armed robbery and ethnic cleansing. If we want peace rather than ever-escalating violence in the Middle East, it is past time to be honest about the real reason for 911 and the subsequent wars: the wild racial injustices of Israel and its superpower patron, the United States government. 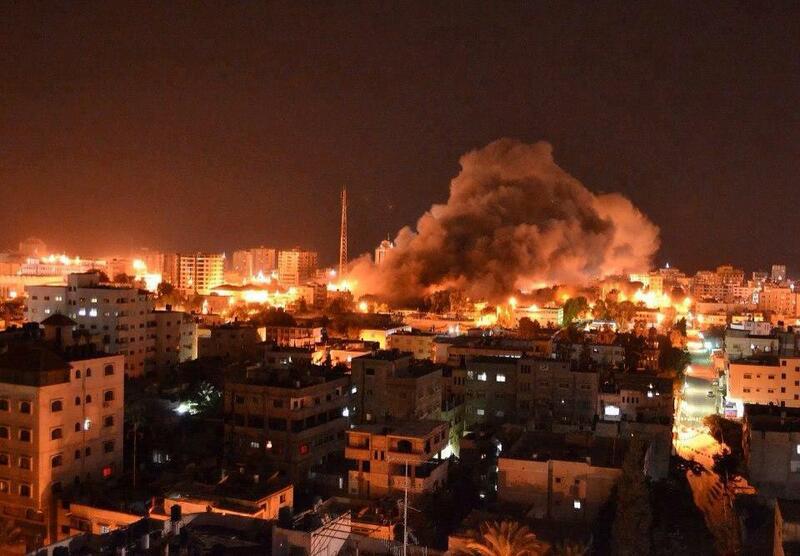 Amud Annan is the Hebrew code name of Israel's latest attack on the women and children of Gaza. Amud Annan means "Pillar of Fire" and it left Gaza in flames. 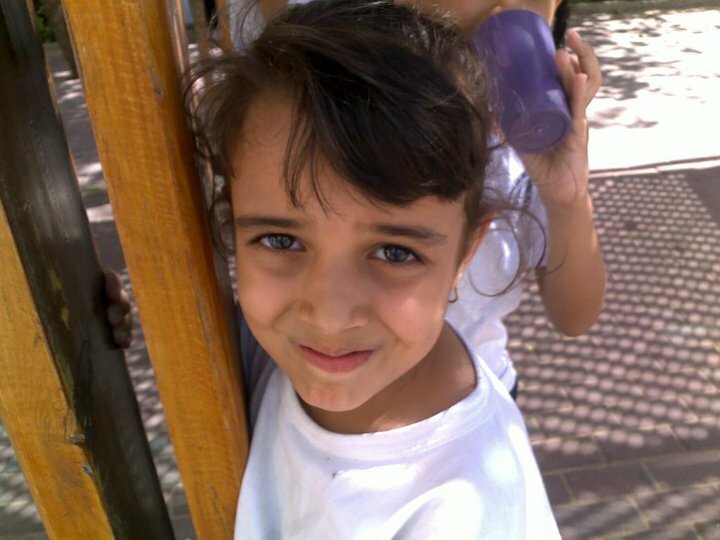 Raneen Yousef Arafat is a four-year-old Palestinian girl who was killed by an Israeli airstrike on Gaza by this ghastly "Pillar of Fire." 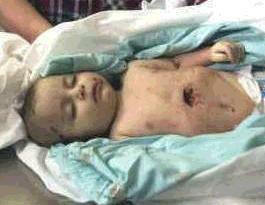 Omar Masharawi was the 11-month-old son of a BBC journalist who was incinerated by Israel's "Pillar of Fire." Dr. Martin Luther King Jr. on Palestine ... What would Dr. King say about equal rights for Palestinians? 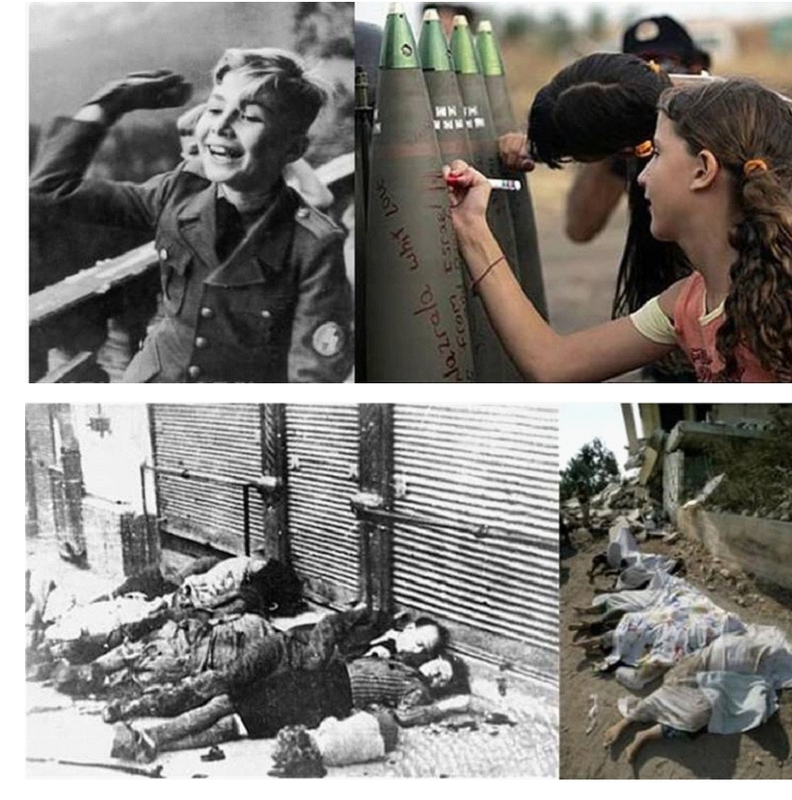 Are Palestinian children not also God's children? "The Hardest Words" by Nobel Peace Prize winner Desmond Tutu. The Elders on Palestine ... What do today's Elders—Nobel Peace Prize laureates Jimmy Carter, Nelson Mandela and Desmond Tutu—have to say about Israel and the Palestinians? Gideon Levy has been called the "most hated man in Israel." Could this be because he speaks the truth to power? Nurit Peled-Elhanan is an Israeli peace activist and the daughter of Matti Peled, an Israeli Aluf (Major General) who was called Abu Salam (“Father of Peace”) by the Palestinians who came under his jurisdiction when he was the military governor of the Gaza Strip. She is the sister of Miko Peled, a peace activist who has written book called The General's Son: Journey of an Israeli in Palestine, in which he has supported his father’s and his sister’s views. Laura Khoury, even in her eighties, is concise and clear: "It is we, the Palestinians, who have the right to defend ourselves." Israel claims the right of "defense" against terrorism, while practicing terrorism on a much larger, daily, systematic basis. What Israel lacks is a national sense of justice. The U.S. went through a similar period of national brat-hood, when it denied justice to Native Americans and African Americans. The result was massacre after massacre and the Civil War, with more than a million casualties and much of the nation in flames. Large-scale racial injustices will always result in large-scale violence on both sides. Here on planet earth, peace requires justice and justice requires equality. So Israel has still not learned the first and most important thing about democracy, which is the need for equality and justice. Moshe Sharett, Israel's second Prime Minister, once asked: "Do people consider that when military reactions outstrip in their severity the events that caused them, grave processes are set in motion which widen the gulf and thrust our neighbors into the extremist camp? How can this deterioration be halted?" His questions are rhetorical, because military "solutions" cannot correct large-scale racial injustices. Only fair, nonracist laws and courts can correct racial injustices. But like the Confederacy, Nazi Germany and apartheidist South Africa, the nation of Israel has refused to create fair, nonracist laws and courts. Why Israel is Wrong: The Case Against Israel’s System of Apartheid and Ethnic Cleansing. Ilan Pappé: The boycott will work, an Israeli perspective. The Reagan Doctrine suggest a more rational, sane response to acts of terrorism. If you don't believe the Elders, please read what over 200 Jewish humanitarian organizations have to say. It speaks worlds that so many Jewish organizations have been created specifically to oppose the racist policies and actions of the government of Israel. Why are so many Israelis, Americans and international peace activists using their bodies as "human shields" to protect Palestinian farm families from Jewish "settlers" and the Israeli military, deep inside Occupied Palestine? Oliver Tambo was a leader of the African National Congress in its fight to end apartheid in South Africa. BLAKE is our choice as the most important poet of all time, for a surprising reason. 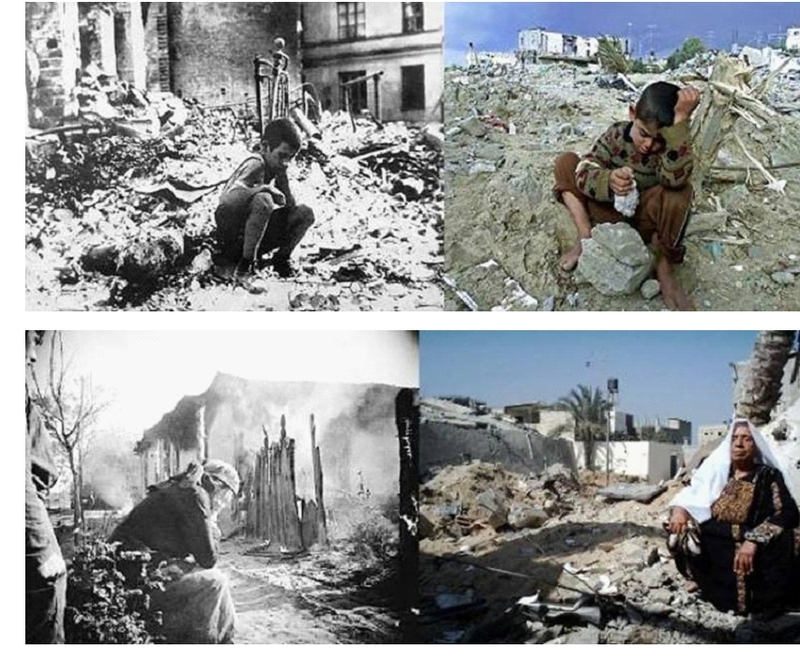 What would the great poet, artist, engraver, printer, inventor, humanitarian, visionary, prophet and mystic have said about the current situation of the Children of Gaza? 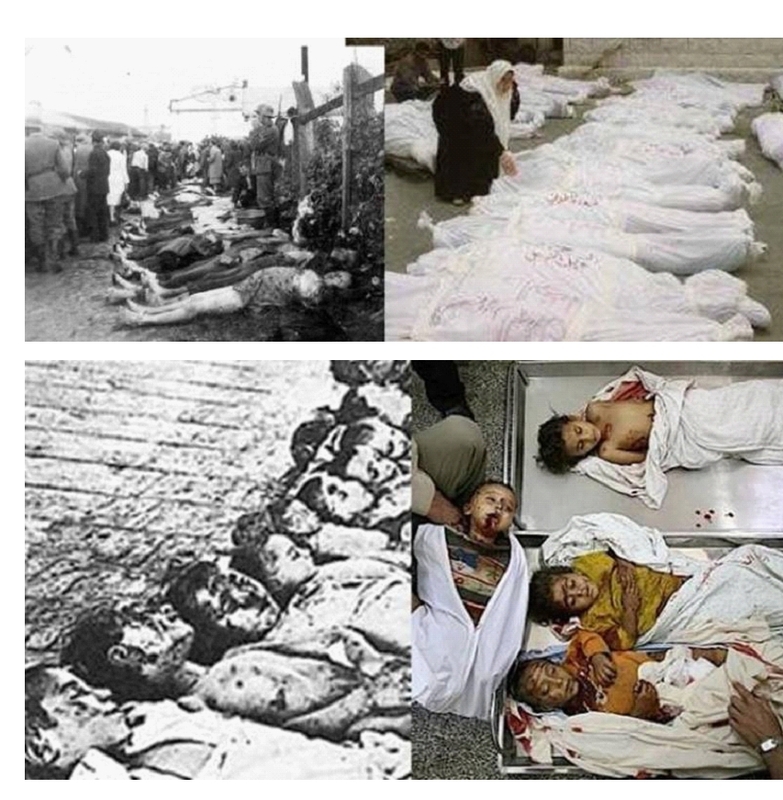 In the photos to follow, the pictures on the left are from the Jewish Shoah ("Catastrophe"), while the pictures on the right are from the Palestinian Nakba ("Catastrophe"). The Germans make the Jews a "special case" during the Holocaust, and you can see the results on the left. 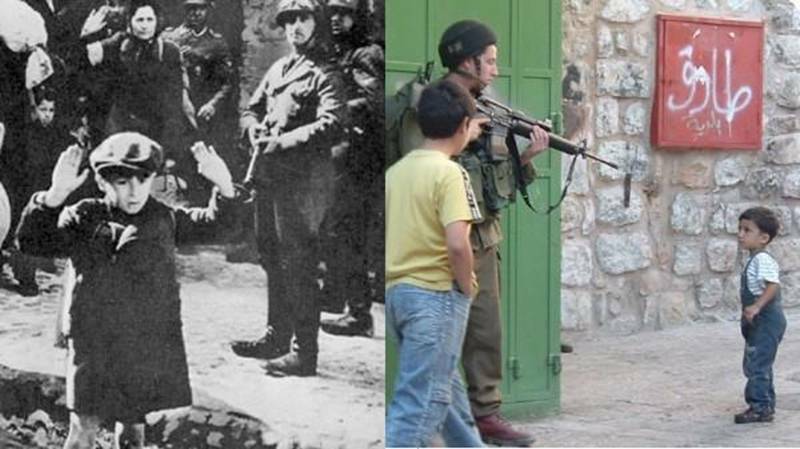 Now Jews have made the Palestinians a "special case" and you can see the results on the right. Only the gullible believe what racist oppressors say about their victims. We cannot afford to believe racist propaganda and the prevailing fictions any longer. 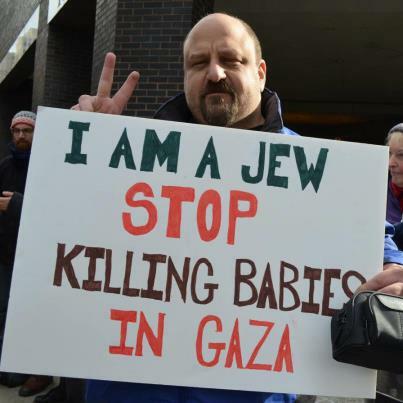 The Children of Gaza Speak ... What do the children of Gaza have to say for themselves? Here's an "inside report." Poems for Gaza is an attempt to save the children of Gaza by asking, "How can innocent children be punished collectively for the 'crime' of having been born 'wrong' ... are we that blind, that stupid, that indifferent to human suffering? If not, why not act today?" At Death's Door: a Story of Gaza relates what happened when Mike Burch tried to do a good deed and the killing gates of Gaza intervened. Mother Israel, Father Palestine contains two interesting stories about beyond-the-grave messages received from Golda Meir, the former prime minister of Israel who has been called "Mother Israel." The article also contains fascinating glimpses of Yasir Arafat, who might be called "Father Palestine," at a time when he was trying to avoid being assassinated by the government of Israel and people within his own organization. Herzl, Hitler and the Children of Gaza discusses the disturbing similarities between Adolf Hitler, the prophet-evangelist of Nazism, and Theodor Herzl, the prophet-evangelist of Zionism. 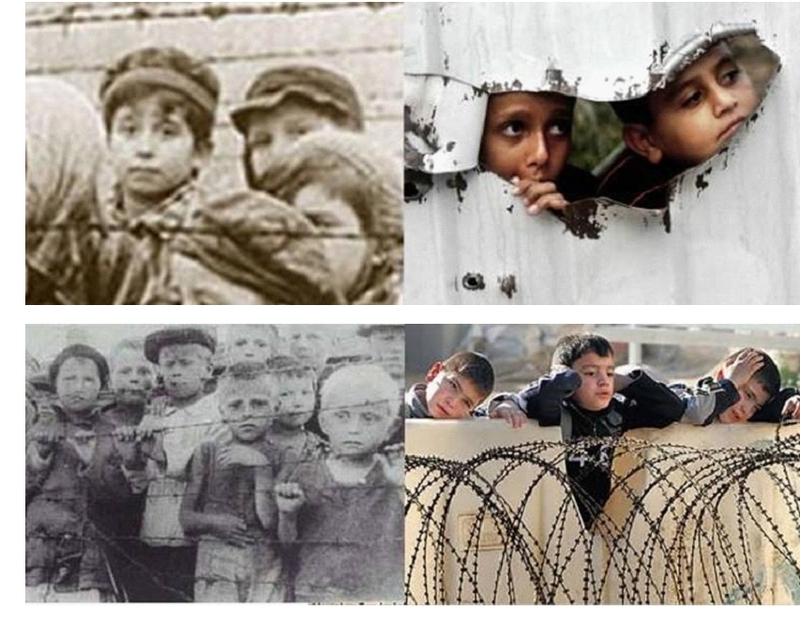 Will the fate of the children of Gaza be the fate of the children of Auschwitz, if the world fails to save them? 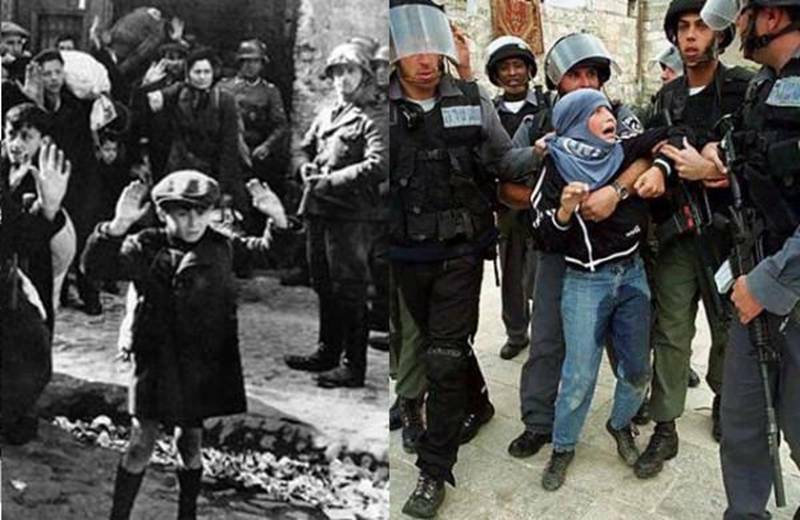 The two sets of pictures immediately above are of the "little boy with his hands up" (on the left) and two Palestinian boys (on the right). Reuven Moskovitz ... The testimony of a Jewish Holocaust survivor who received the 2001 Mount Zion Award and the 2003 Aachen Peace Prize. Vanessa Redgrave: A Passion for Justice is a testimonial to a courageous actress who sold two houses in order to finance a documentary about the plight of the Palestinians. Avraham Burg: the Prophet-Poet of Judaism tells the tale of a former (interim) President of Israel, Speaker of the Knesset, and chairman of the Jewish Agency and World Zionist Organization who has provocative ideas about the future shape of Israel, Judaism and Zionism. Why is one of Israel's leading politicians asking Israel to stop using the Shoah to excuse the Nakba? The Lunatic State and a Voice of Reason explores the thoughts of Professor Norman Finkelstein, the son of two Holocaust survivors who grew up to become one of Israel's fiercest critics. Who the hell was Furkan Dogan, and why should we care? Should we care about an 18-year-old peace activist who was summarily executed by the government of Israel in international waters for the "crime" of being aboard a ship that was trying to deliver humanitarian aid to the suffering people of Gaza? What would Jesus say? "Does Jesus Love Me?" is a poem written from the perspective of a Palestinian child suffering at the hands of Christians and Jews who claim all the favor of God for themselves. 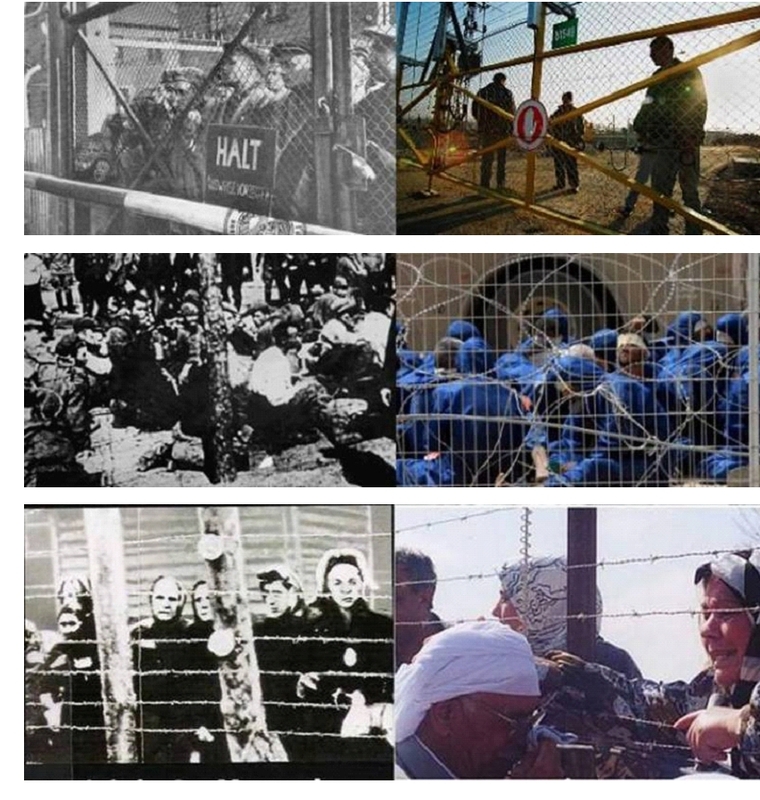 Israeli Apartheid is the result of a comprehensive fifteen-month legal study of the policies and actions of the government of Israel, by people who know an awful lot about apartheid: South Africans. ... What does a young English-Iraqi rapper who longs for justice have to say about the governments of Israel and the US denying human rights and freedom to completely innocent Palestinian women and children? I am a patriotic American. I love my country and its people. But I do not want my government to hypocritically preach "democracy" and "equal human rights" to the rest of the world, while funding and supporting this new, ongoing Holocaust that has left millions of innocent Palestinian women and children living on the margins of existence, inside concentration camps with walls twice as high as the Berlin Wall. These walls have been paid for by the hard-working but gullible American taxpayer. These are not "security" walls, but dividing, conquering, killing walls. They separate women and children from hospitals and doctors. Innocents are dying in the shadows of those ominous walls. What if they were our children? 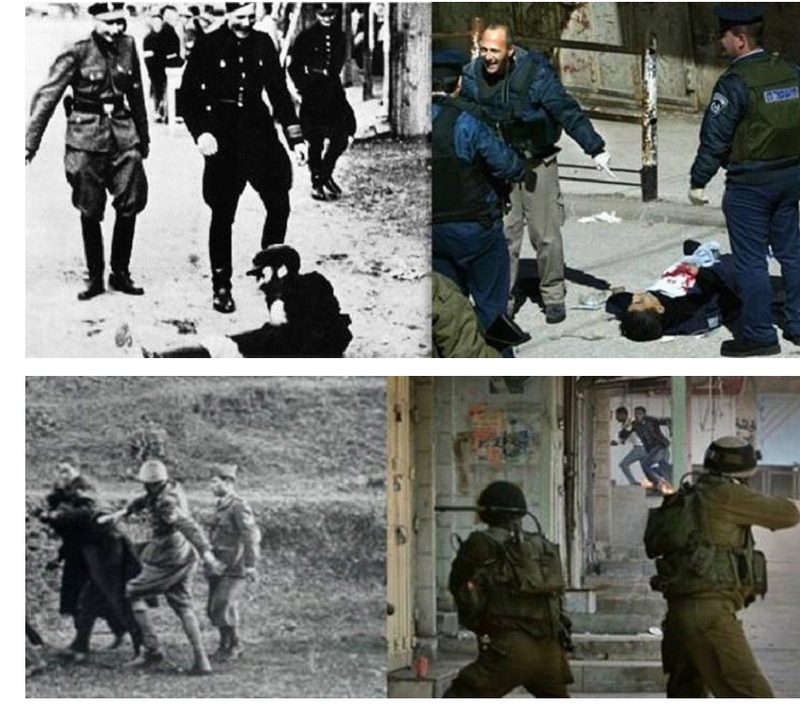 When will Americans say "Never again!" and refuse to support and fund such atrocities? In the Shadow of Rachel's Tomb is the story of one Palestinian family's struggle for survival in the shadow of Bethlehem's "security wall." Why have the tax dollars of American Christians been used to change the birthplace of Jesus into a new Gulag? If you have any doubts about the terrible injustices and brutality of the current Israeli regime, please read what Dan Almagor has to say, by clicking his hyperlinked name. Almagor is a leading Israeli songwriter who has written many patriotic songs commissioned by the government of Israel. But he is also an honest man who doesn't shirk or shrink from the truth. Dahlia Ravikovitch, who died in 2005 at the age of 69, was one of Israel’s most beloved writers. She was also acclaimed for her courage as a peace activist who was "deeply involved in the cause of Palestinian human rights." As Mike Burch worked on the poetry page of Dahlia Ravikovitch, he experienced An Especially Eerie Convergence that sheds light on the connection between 9-11, two terrible wars, and the fate of Palestinian women and children. Fardin Mohammadi explains what it's like to be a young Muslim in the United States on the anniversary of 9-11. How to Become a Fascist Nation, in Seven Easy Steps is an ironic, tongue-in-cheek comparison of the disturbing parallels between the United States, Israel and Weimar Germany. Osama bin Laden and the Twin Terrors ... this article discusses the similarities between the situation of Sitting Bull and the Sioux and that of Muslims today. Nashville's Freedom Walk for Palestinians ... Accompany THT editor Mike Burch on a fact-finding freedom walk, accompanied by Palestinian Americans who incongruously did not terrorize him, or blow him up! The Night the Stars Aligned: Nashville Welcomes His Excellency, Aziz Mekouar, Ambassador of Morocco to the United States is the story of the remarkable relationship between the fledgling United States of America and the Muslim nation, Morocco, that first recognized and befriended it, in 1777. Learn what happened when Mike Burch presented Aziz Mekouar with the Burch-Elberry Peace Initiative. What I learned from Elie Wiesel and other Jewish Holocaust Survivors explains how Mike Burch learned more from some of the Jewish Holocaust survivors he worked with, than they seemingly wanted him to know. Liz Barger's Letter from Gaza (Almost) is the account of what happened when an American peace activist tried to enter Gaza bearing Christmas gifts for the suffering children there. Unfortunately, the governments of Israel, Egypt and the United States played Scrooge. Israeli Racism and Jim Crow Laws ... Americans had to learn the hard way that racism invariably leads to violence on both sides. This interview explains the real reasons for the violence in Israel: rampant racism, Jim Crow laws and kangaroo courts. Wrestling Angels and Chimeras ... What do Americans need to understand, if they want peace with Muslims, rather than war? Roll Call of Shame begs the question: why has the United State unilaterally vetoed 42 United Nations resolutions that might have brought relief to multitudes of completely innocent Palestinian women and children? Independence Day Madness ... Why did Israel hijack the Spirit of Humanity? Why did a former US presidential candidate end up in a notorious Israeli prison, alongside a Nobel Peace Prize laureate? The Aftermath of the Flotilla is the account of what Anna Baltzer, a Jewish-American peace activist, saw and heard in Palestine, after Israel attacked the Gaza Flotilla in international waters, killing nine Turkish peace activists. Tawfik Zayyad is one of the leading poets of the Palestinian resistance. Dear Mum: Email from an Israeli Prison Cell ... This is an interesting missive from a young Australian peace activist who ended up in an Israeli prison after trying to stop the demolition of a recently deceased Palestinian woman's house. It seems Jewish "settlers" are scanning newspaper obits for newly dead Palestinians, then rushing up with mallets to destroy their houses, while the poor souls are still lying in the morgue. To illustrate the macabre unreality of the situation, the peace activist's Jewish tour guide told her, "We politely make it impossible for them to live here." But there is nothing "polite" about demolishing people's houses, much less those of families who have just lost loved ones and haven't had time to properly mourn or bury them. Le Trio Joubran is the story of one Palestinian family's musical success despite Israel's fierce, repressive racial oppression. What Does the Bible Say? ... Does the Bible say Christians should support Jews, no matter how cruelly and unjustly they treat their neighbors? Would Jesus have driven 700,000 Palestinian farmers and their women and children from their homes, leaving them homeless and destitute? 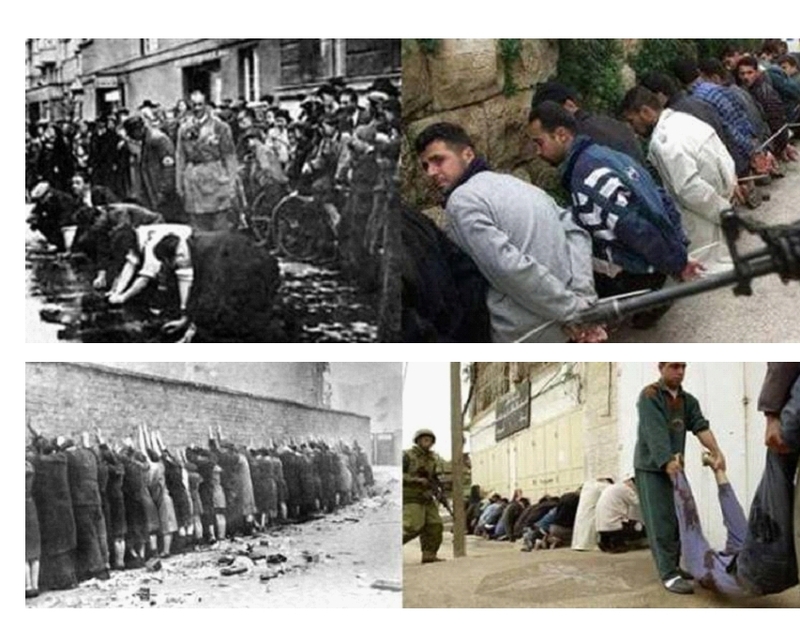 The Role of American Taxpayers in the Holocaust of the Palestinians ... Why have American taxpayers funded and supported this new Holocaust, to the tune of hundreds of billions of dollars? The Palestinian Perspective on Peace is an informative question-and-answer session which considers the Israeli-Palestinian conflict from a Palestinian perspective. 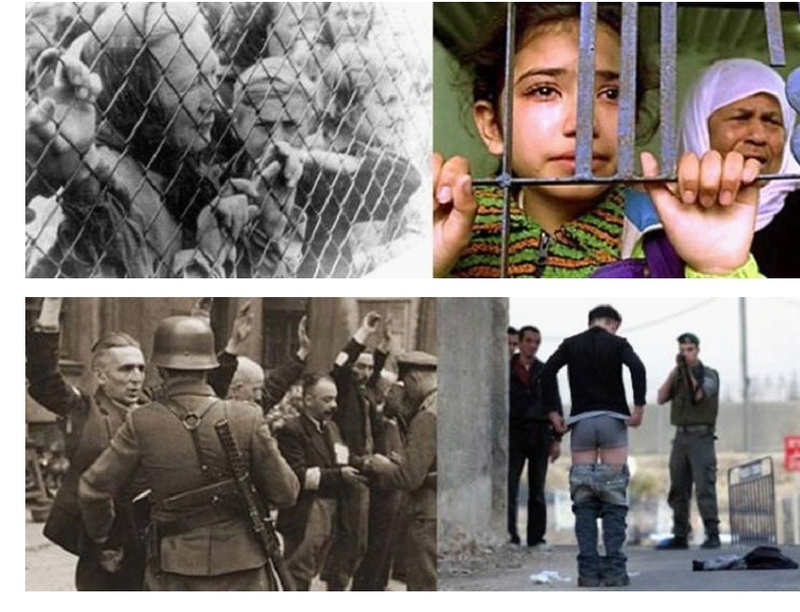 Root Causes and Parallels ... What is a Holocaust? 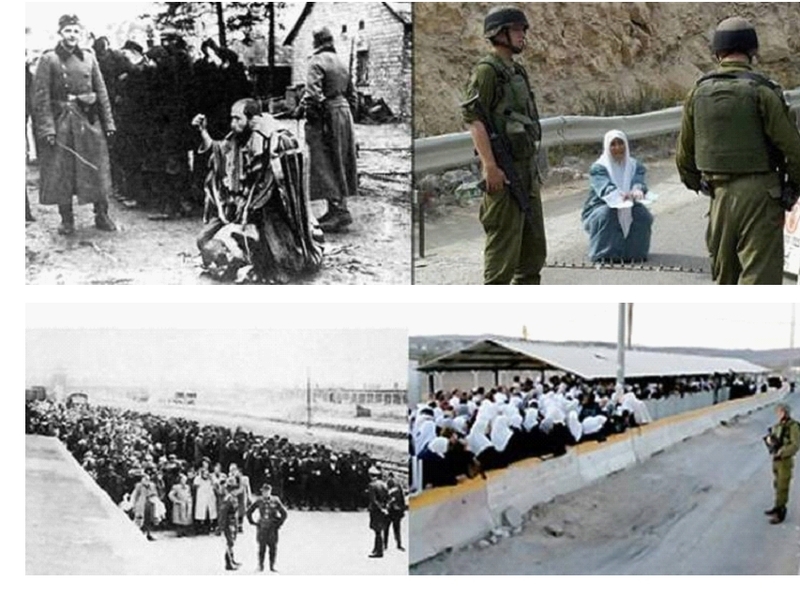 Are there parallels between what the Palestinians suffer today, and what the Jews suffered during the Holocaust? Why did Thomas Jefferson have a lecture on "morality" preached to one of his slaves while he was being whipped for stealing nails, when Jefferson had robbed him of his life, liberty and ability to pursue happiness? If something is rotten in Denmark? The Robin Hood of the West Bank ... Why are people using their bodies as "human shields" in Gaza and the West Bank, and why are these Good Samaritans the ones going to jail? The Chicken or the Egg? ... Which came first: Palestinian violence, or Jewish and American racism against Arabs? Parables of Zion ... Why pro-Israel propaganda makes no sense to someone with a logical mind and a handle on the facts. The Genesis of Armageddon ... An annotated version of a white paper published by Jews for Justice in the Middle East about the ongoing conflict between Israeli Jews and Palestinians. Does anything we've been told to believe about Israel and the Palestinians actually hold water? How Palestine Became Divided ... An annotated version of the Wikipedia article explaining how the Nakba ("Catastrophe") began when Palestine was divided by a United Nations mandate. Logic 101 suggests simple, logical ways Israel and the United States can avoid destroying the world in the process of making it "safe" for "democracy." The Samson Option ... Does the government of Israel intend to use nuclear blackmail when the world finally says "No more!" to its denial of basic human rights and dignity to the Palestinians? The Curious Blindness of Abba Eban is an essay about the dangers of ultra-nationalism and religious zealotry in the modern world. Is this how Americans want their tax dollars spent? The results have included two fruitless, unwinnable wars on Muslim soil, while World War III and a nuclear Armageddon now loom ahead for our children and grandchildren. Unless we re-think things, and change our course of action, one day we will inevitably see such pictures of American children. This will be the price of American hypocrisy, of our wanting to have our cake and eat it too, of preaching "equal rights" and "democracy" to all the world, while denying equal rights and democracy to millions of Palestinians, who happen to have 1.5 billion Muslim brothers and sisters who do not agree with our bigotry, intolerance and hypocrisy. Should Americans have "more equal" rights than Palestinians? Should Israeli Jews have "more equal" rights than Palestinians? Do Americans and Jews have the right to deny equal rights and justice to Palestinians, on their native soil? 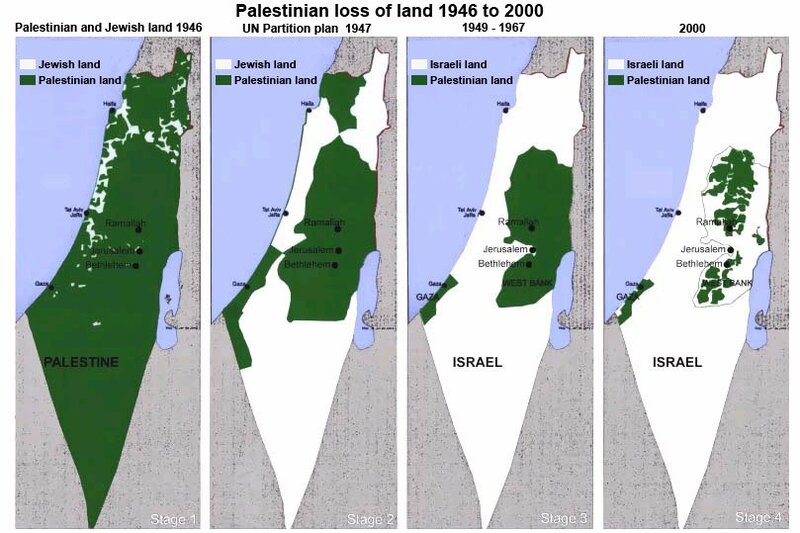 It is their land, not ours. What right do we have to dictate terms to them, there? How would we feel if the children above were our children? What if our children had been deprived of human rights and the protection of fair laws and courts, so that they became the helpless prey of ruthless men? What would we do, honestly? We too, would commit acts of terrorism (called "war") against the oppressors of our children, until those oppressors changed their behavior. 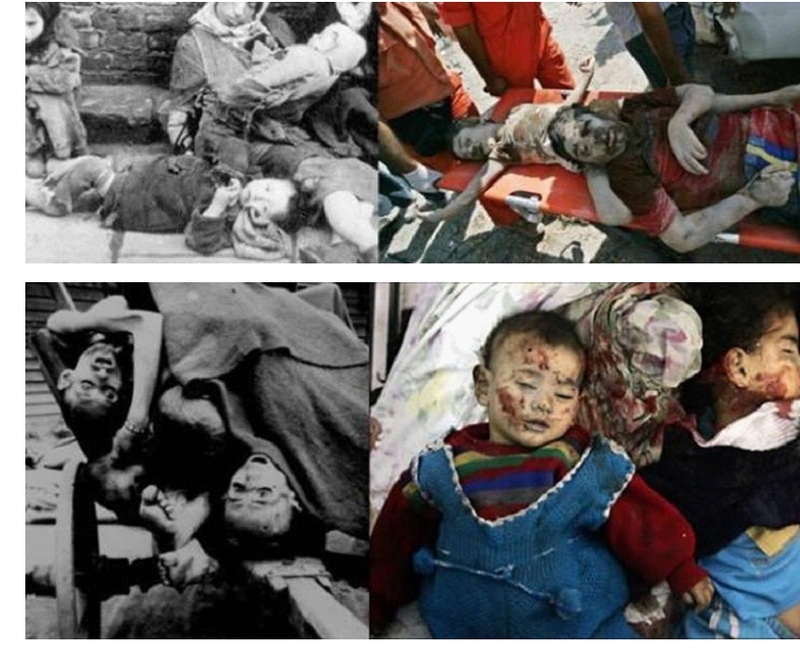 How many Japanese and German children died during World War II? Those were acts of terror required to bring the ruthless leaders of rogue nations to heel. Americans need to understand that when our government, in conjunction with the government of Israel, causes millions of innocent Palestinian women and children to suffer unbearable hardships and humiliations, we become like the gullible Germans who followed Hitler and his Nazi goons to their doom. As the Germans and Japanese once did, today Jews and Americans indulge in evil, absurd romantic fantasies of "superiority" to Muslims. How is the "American way" better, if we don't know better than to cause the suffering and deaths of multitudes of completely innocent women and children? Do we want the future to remember us the way it remembers Hitler and his racist cronies, who flooded the world with propaganda about the glorious "superiority" of Germany and its white Aryan Christian "supermen"? Don't we sound suspiciously like the Nazis, when we merely claim to have a "superior" civilization and "superior" system of government, when the horrifying pictures above clearly say otherwise? 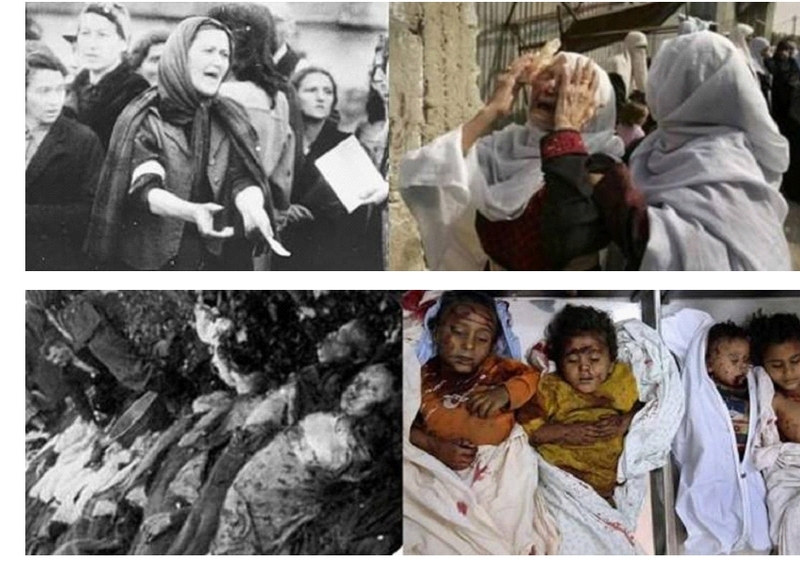 What did those innocent Palestinian women and children ever do to us, except have the temerity not to be born American Christians or Israeli Jews? Shall we claim that God is on our side? Does God side with the oppressors of innocent women and children? Shall we expect 1.5 billion Muslims to assume that we are correct about God being on our side? Wouldn't it be far better to simply abandon hypocrisy, and do the right things? Jesus reserved virtually all his condemnation for hypocrites who had one set of rules for themselves and another set of rules for everyone else. He said the blind would lead the blind into the ditch. Perhaps we should consider the pictures above and ask ourselves if he might have been right. If we truly want peace, we cannot be heartless, hypocritical oppressors of women and children, or, as with any schoolyard bully, someday someone will stand up to us. Why are innocent women and children being humiliated, beaten, abused, spat on, and all too often killed, by racists who demand that we supply them with hundreds of billions of dollars in financial aid and advanced weapons? Why do these people not simply do what we Americans did ourselves: abandon racism, grant everyone fully equal human rights, without exception, and establish fair laws and courts? Why should my son fight in World War III or live through a nuclear Holocaust (if such an existence can be called "life") when it is the duty of every government on earth to establish equal rights and justice? The Palestinians are not a "special case" but human beings with self-evident rights. Israel is not a "special case" either. Why should any nation be exempt from establishing equal rights and justice? 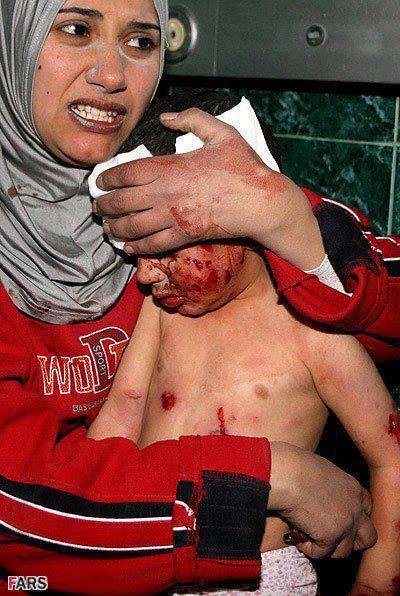 Why should American children pay for the sins of Israel with their their lives? Let Israelis do what Americans did, and establish equal rights and justice for everyone, or let Israel stop acting like Pharaoh, and let the Palestinian people go. Here's how we can address the problem without unnecessary violence: The Path to Peace in the Middle East. "Simple" does not mean "easy," but the first step to peace through justice may be simpler than almost anyone realizes. You may be the person to help make it happen. And it will be exactly the same first step that helped the United States solve its terrible, deep-seated problems with racial injustice, only a few years ago. Please consider doing what you can to help the world avoid more unnecessary wars, by achieving peace through justice. Related pages: Christians may want to consider the ethical question What would Jesus do? If you are unfamiliar with the real history of the Israeli/Palestinian conflict, or have been told that Israel is "only defending itself," please read Albert Einstein's 1948 letter to the New York Times and Einstein on Palestine: the Prophet of Peace. If you want to understand how the maps below relate to Israel's new offensive against Gaza, known as Operation "Pillar of Defense" or the biblical "Pillar of Clouds," please click here Amud Annan "Pillar of Fire." If you want to hear the opinion of the former U.S. president and Nobel Peace Prize laureate who negotiated peace talks between Israel and Palestinians, please click here Jimmy Carter: "Israeli policy is to confiscate Palestinian territory."